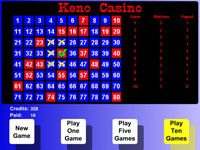 Keno is a game of chance similar to the lottery. A player marks several numbers on a card. 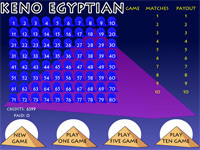 Numbers are then drawn at random, and compared with the numbers chosen by the player. The player then receives a payout based on the number of correct picks. 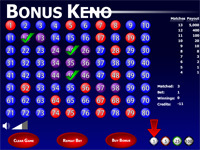 Keno Aliens is a space / alien themed version of Keno.